Dainton Park Golf Club is a fantastic golf club just outside Newton Abbot in Devon. 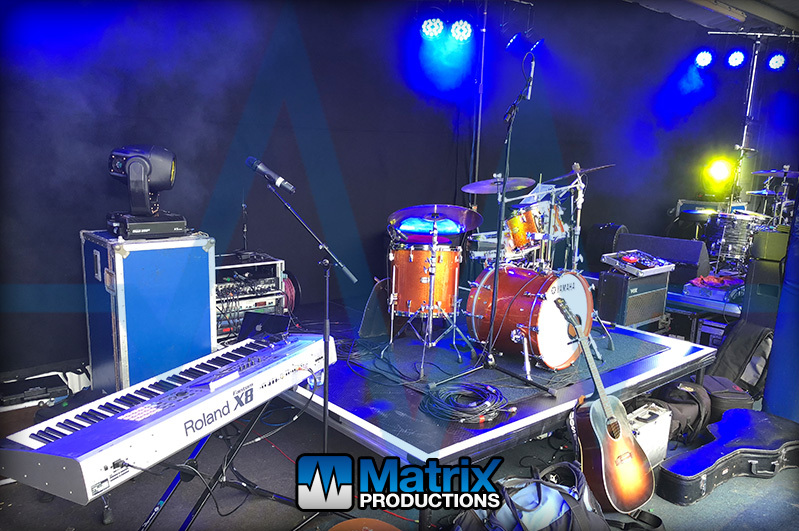 When they decided that they wanted to have a big celebration for their 25th anniversary we were delighted to get the call to provide sound, lighting and staging equipment. It wasn’t the easiest of settings – they wanted to hold a mini festival on their driving range! 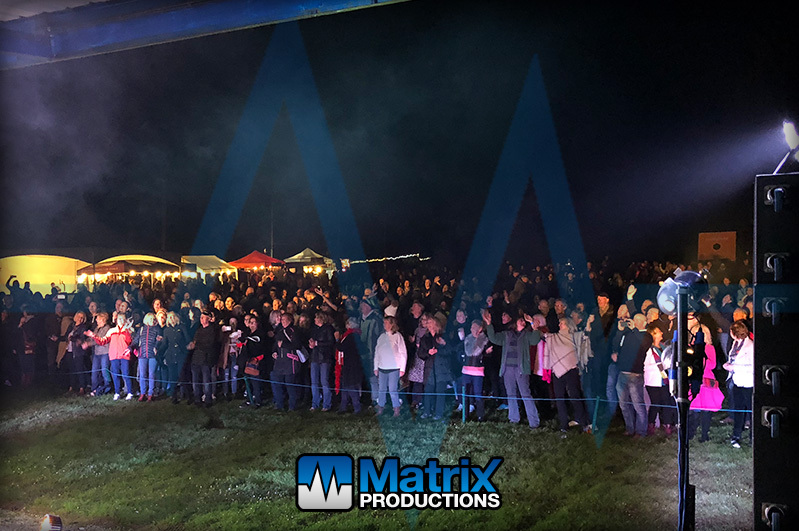 As you can imagine, this presented a series of interesting challenges and obstacles to overcome but if there is one thing we love to do, it’s to create an event in the last place you might expect one! A driving range certainly fitted the bill! 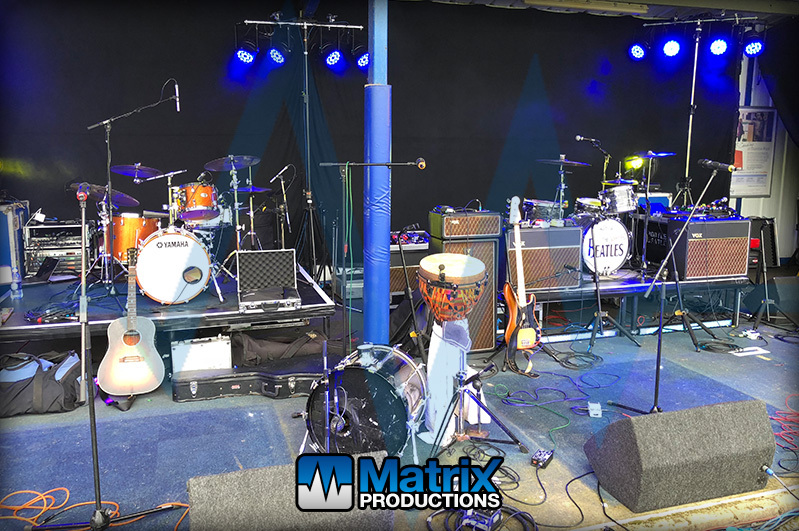 The first thing to do was to try and create a stage area, so we had to black out the the very white tin walls with black wool serge, then the barriers were removed and we added some risers. Then in went the sound and lighting. 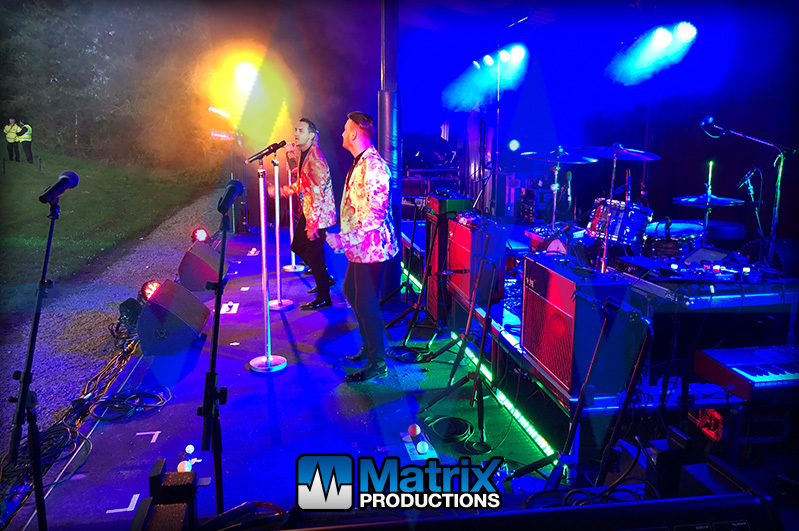 Equipment utilised for this event was as follows; we used a Dynacord Cobra 2 system as the main front of house system – this fit the bill perfectly as it has a wide dispersion and it’s easy to angle to top boxes up with the Dynacord wedges to perfectly suit the terrain of the ascending driving range. Monitors were some AA 15″ boxes. 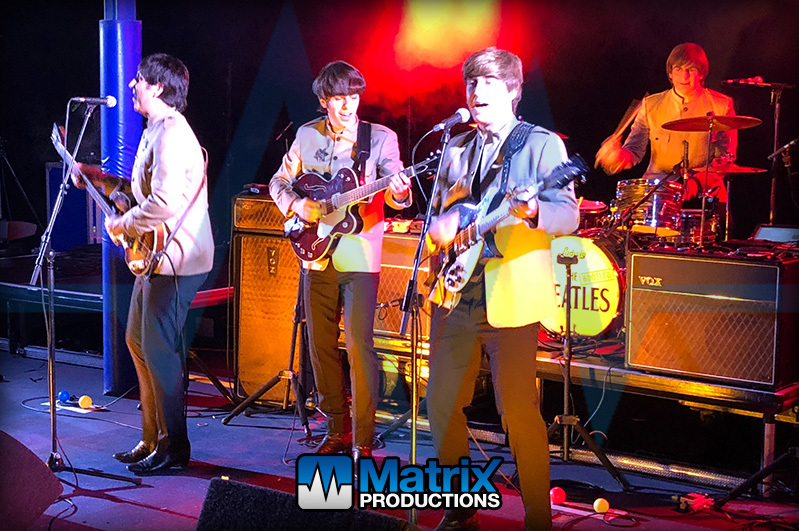 For control we provided a Midas M32 for the headlining act – The Bootleg Beatles (bootlegbeatles.com) who did a fantastic job! Support was provided by Take That tribute act Beautiful World (beautiful-world.co.uk), our good friends Superstition (superstition.band) and local band Three Bags Full. 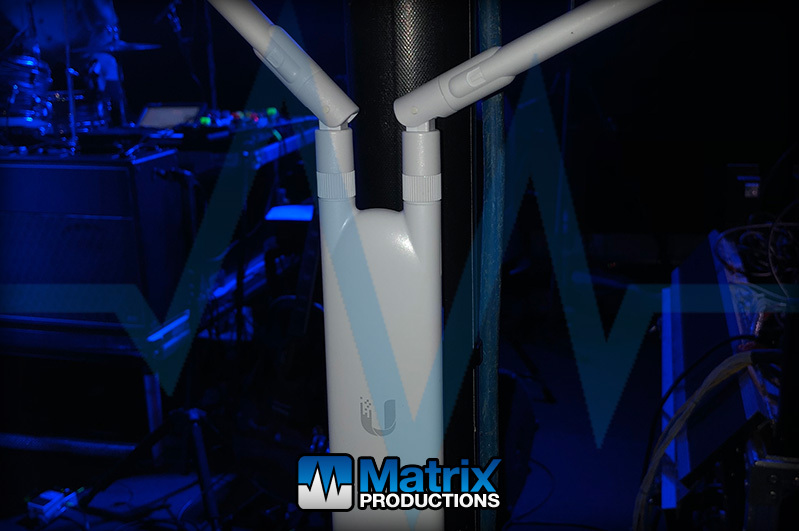 Due to the fact that Superstition were the most complex support band, we used our normal Superstition control package of a Yamaha TF-Rack with Tio1608D Stagebox to take care of theirs and all the other support band’s needs. 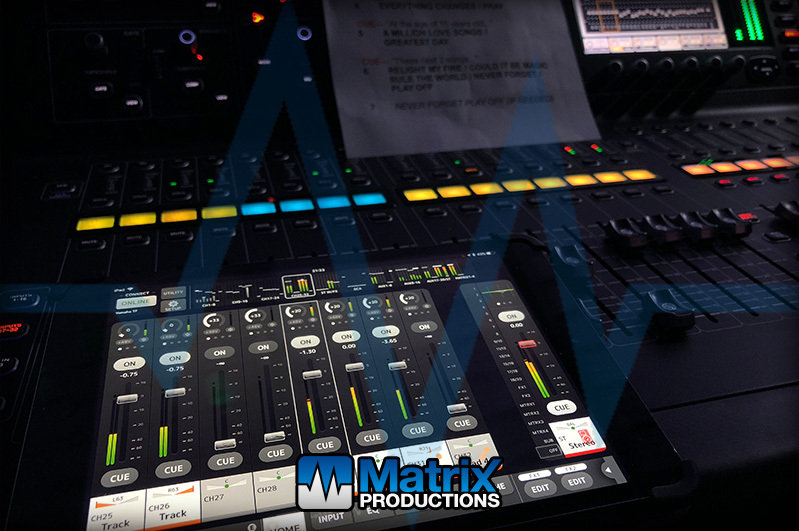 One of the stipulations of the golf club was to not have a FOH mix position or cables running out on to the driving range. Therefore, all bands were to be mixed with iPads. 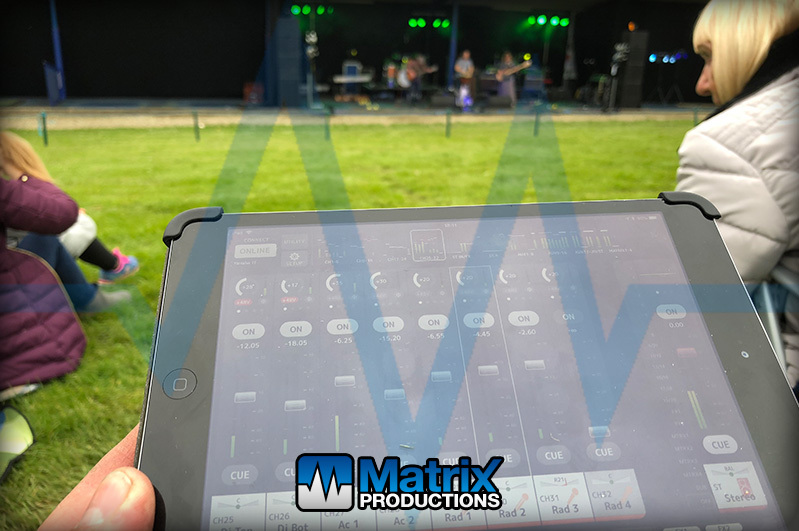 This proved to be very successful, helped largely by the fact that we provided a Ubiquiti UniFi wireless network which was rock solid and never skipped a beat. 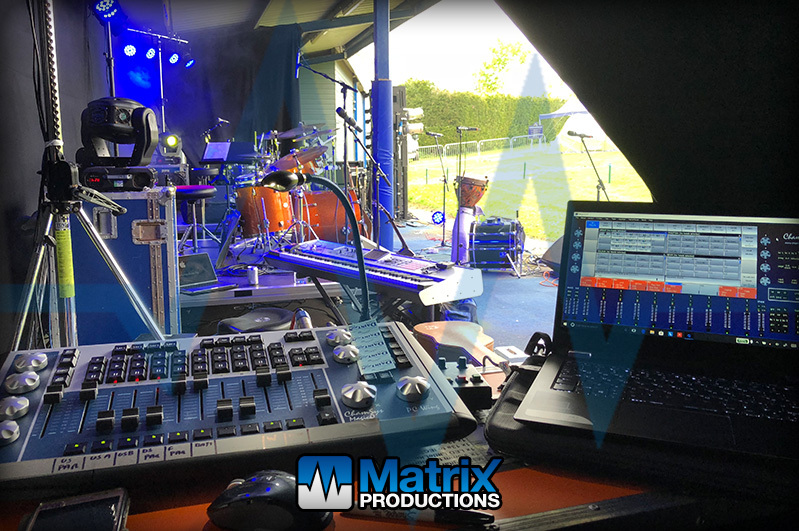 If you’d like any more information on the services we provided or would like a similar solution for your event please contact Simon Woods-Tucker on 01626 818592 or email here.